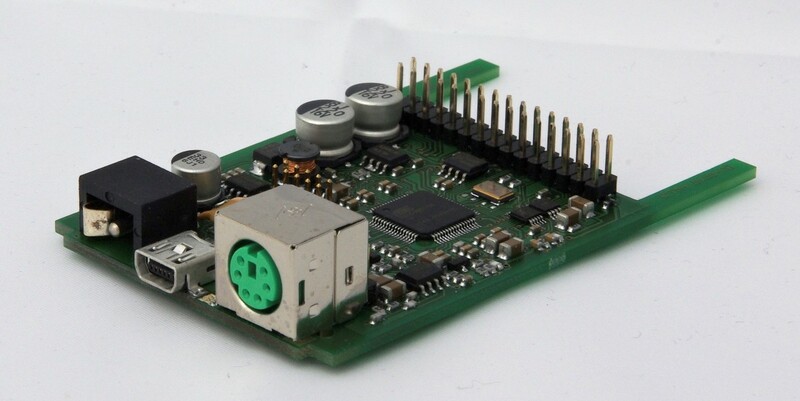 The DV-RPTR board is a DV Modem based on a powerful 32 Bit AVR microcontroller. All DV functions are implemented in software. The DV data from an FM transceiver is fed into the ADC input and then processed with a couple of digital signal processing routines. The connection to the PC is done via an USB interface. A driver is available for Windows (XP, Vista, Win7 or even the upcoming Windows-8). Under Linux the board is detected automatically and no driver is needed (tested with Ubuntu and Cent-OS). Our design needs no dedicated Modem IC (like CMX589). An integrated DFU 1.1 compatible bootloader allows firmware updates for the end user. A couple of PC software packages support all functions required for DV operation. This board is made for HAM operators for use as hotspot, or for DV repeaters in various operating modes. This board and its corresponding software is open source and available for everybody.